Holding a fund that contains a ton of cash is also frustrating for investors, especially in this seemingly never-ending bull market. If you put $10,000 into Sarbit’s IA Clarington Sarbit U.S. Equity Series fund in 2013—it’s holding 57% of its asset in cash, according to Morningstar—you would have $12,046 today. If you invested in the Russell 2000 Total Return Index, which is the benchmark Morningstar uses to compare returns with Sarbit’s fund, you’d have $21,234. Ouch. While Sarbit is holding higher-than-average cash levels, he’s by no means alone. Bank of America Merrill Lynch’s monthly survey of fund managers found that in July global managers were holding 4.7% of their assets in cash, above the 4.5% 10-year average. More generally, a CNBC survey, conducted in April, found that 38% of Americans with more than $1 million in assets and who are under 55, plan on putting more of their money into cash and other short-term holdings. Shehryar Khan, a senior investment analyst for Morningstar’s Investment Management Group, has also seen an increase in cash holdings, but mostly among the people who are already comfortable holding dollars. Managers who tend to be fully invested in the market are still invested, but those who can be choosier are waiting for better opportunities, he says. Khan gets how frustrating that can be for investors and managers. His group, which runs multi-asset portfolios, owns the Mackenzie Ivy Canadian fund, which currently holds 13% of its assets in cash, in its Canadian portfolio. But while it would be nice to have all that money invested, his team bought the fund because of its deep value focus and its managers’ caution. If the market falls—and many people think stocks are due for a larger correction, hence the higher cash holdings—then these funds should fall less than others. 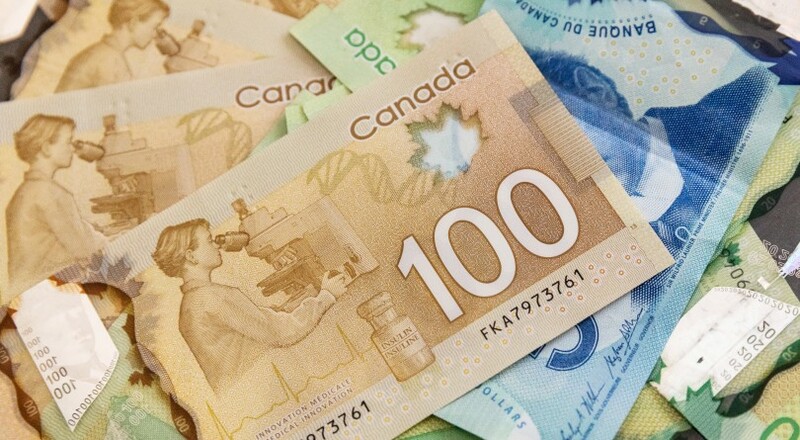 According to the Globe and Mail, between April 2006 and April 2009, Sarbit’s U.S. Equity Trust fell by a compound average annual 8.3%, compared with a drop of 10.8% for the Russell 2000 index (measured in Canadian dollars). During the recession, about 70% of his assets were in cash. By 2010 Sarbit was almost fully invested. “When stocks were cheap in 2010 I was jumping up and down screaming at people to get into the market,” he says. Until the market falls, and that cash can be used, investors will have to stomach weaker returns. Khan, whose team holds other funds that are fully invested, says that it’s in times like these, where markets climb for seemingly no reason, that investors need to remind themselves why they’re holding these funds in the first place. It’s likely because they’re trying to protect themselves when markets eventually drop. If they’re that upset that a fund they hold is missing out on gains, then they should move to one of the many portfolios that are all in on the market. MORE: My advisor sold me high-fee funds. Should I dump her? Saying that, investors do need to pay attention to what the managers of their funds are doing. If you bought a fund with the expectation that all its assets would be invested, but then see the manager loading up on cash, then you have a problem, says Khan. If Sarbit or Ivy invested everything today, then you’d also be confused. If you do see something unusual happening, find out why the manager isn’t sticking to the investment philosophy you bought into. Change funds if you can’t figure it out. It’s OK for the average investor to hold a small percentage of their assets in cash, but, for most people, it’s better to be in the market. Since no one can predict when stocks will drop, you’ll want to be generating some sort of return—and cash gets you nothing. To ensure you’re not holding too much dough, Khan says you need to calculate the “true cash percentage” of your holdings. Do this by looking at how much money you have allocated to the funds in your portfolio, the cash holdings of those securities and any other cash that you haven’t yet invested. For instance, if you have 10% of your money in a fund that’s holding 30% of its assets in loonies then 3% of your assets are in cash.